Lord Byron was a famous English poet, politician and a leading figure in the Romantic Movement. Check out this biography to know about his childhood, family life, achievements and other facts about his life. Lord Byron was a famous English poet and a leading figure in the Romantic Movement. He was also known for creating a cult of ‘Byronic heroes’ who were melancholic and brooding young men filled with thoughts of something that had occurred in their past life which they could not forget. 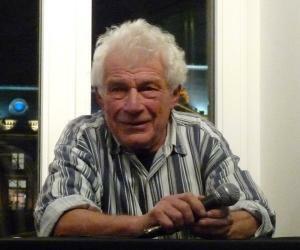 He had immense influence on European music, painting, opera, novel writing and poetry as long as he lived. He was the sixth Byron to get the title of Baron. 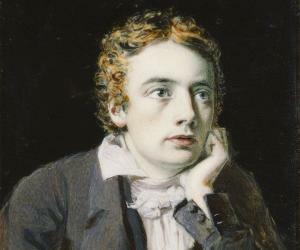 He was one of the greatest poets in English history and was of the same stature as Percy Shelley and John Keats. His poetry and his personality made a great impact on literary minds and the general public of Europe at that time. He was seen as a man with radical ideas by many people and worshiped as a national hero by the Greeks for fighting for them against the Turks. In spite of this, he was disliked by his contemporaries for his relationships with married women, young men, the vices he had picked up during his university days, and the huge debts he had incurred. Lord Byron was born George Gordon Byron in Dover, United Kingdom, on January 22, 1788. His father was Captain John Byron and his mother was Catherine Gordon, a Scottish heiress who was the captain’s second wife. He was born with a club-foot which restricted his movements and made him extremely sensitive about it. After his father died in France in 1791, his mother took him to live in Aberdeen where they lived on a meager income till he was ten years old. In 1798 at the age of ten, Byron unexpectedly inherited his great uncle William, the fifth Baron Byron’s title and also the vast property left behind by him. The inheritance helped him come back to England with his mother and stay at the Newstead Abbey that had been presented to the Byrons by King Henry VIII. He went to London and studied at Dulwich in 1799 and then at Harrow in 1801 which was the most prestigious school in all England. He attended the Trinity College, Cambridge University, from 1805 to 1808. Lord Byron published his early poems ‘Fugitive Pieces’ in 1806 with the help of a private publisher and also befriended John Cam Hobhouse. His first collection of poems ‘Hours of Idleness’ published in 1807 received bad reviews in ‘The Edinburgh Review’. He wrote a satire ‘English Bards and Scotch Reviewers’ in 1809 in answer to this and gained much popularity. In 1809, he sat in the House of Lords and then went on a grand tour of Malta, Spain, Greece, Albania, and the Aegean region with Hobhouse. He returned to London in July 1811 but his mother passed away before he could reach Newstead. Byron tasted his first success with the publication of the first section of a collection of poems titled ‘Childe Harold’s Pilgrimage’ in 1812. He became a favorite of the London society when he opposed the harsh measures taken against the weavers of Nottingham during his first address at the House of Lords in 1812. His unsuccessful love-affairs made him gloomy and remorseful and resulted in the writing of ‘The Giaour’ and ‘The Bride of Abydos’ in 1813 and ‘The Corsair’ and ‘Lara’ in 1814. In 1816, he left England never to return again, dogged by rising rumors of his incestuous love-affairs and accumulating debts. He settled in Geneva, Switzerland, with Percy Bysshe Shelley. Mary Godwin and her step-daughter, Claire Clairmont, also came to live with him. He wrote the two cantos of ‘Childe Harold’ and ‘Prisoner of Chillon’ during this time. Byron travelled all over Italy for the next two years.He wrote ‘Lament of Tasso’ while touring Italy after being inspired by Tasso’s cell in Rome. He also completed ‘Mazeppa’ and started on his masterpiece satire ‘Don Juan’ around this time. In 1817, he wrote a poetic drama titled ‘Manfred’ which reflected Byron’s frustrations and guilt. 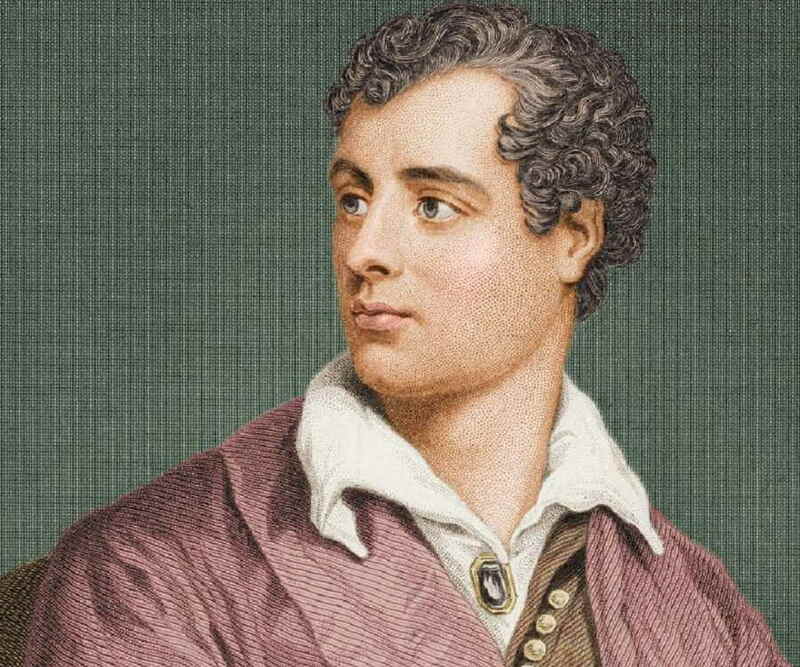 After he returned to Rome in May 1817, he wrote a fourth section of ‘Childe Harold’ which was published in 1818. His poem ‘Beppo’ in 1818 talks of the contrast between English and Italian mannerisms and customs. Byron sold the ‘Newstead Abbey’ for £94,500 in 1818. With this money he was able to clear his debt of £34,000 and was left with a good sum of money. In January 1820, Byron traveled to Ravenna as Countess Teresa Gamba Guiccioli’s ‘cavalier servante’ or ‘gentleman-in-waiting’ and befriended her father, Count Rugerro, and brother, Count Pietro Gamba, who initiated him into the secret ‘Carbonari’ society which had revolutionary ideas about overthrowing the Austrian rulers and freeing Italy from their misrule. While in Ravenna, he wrote ‘The Prophecy of Dante’ and the third, fourth and fifth cantos of ‘Don Juan’. He had been deeply influenced by drama after visiting Pisa and Ravenna and wrote many poetic dramas including ‘The Two Foscari’, ‘Cain’, Marino Faliero’ and ‘Sardanapalaus’. He also started writing ‘Heaven and Earth’ which remained incomplete. 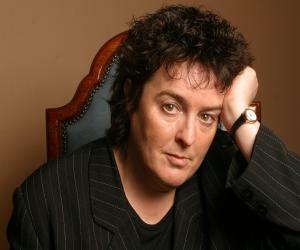 He also wrote a satire ‘The Vision of Judgment’ based on the poet Robert Southey’s eulogy of King George III. In April 1823, he joined the ‘London Committee’ fighting for Greece’s independence from the Turks and left Genoa for Cephalonia in July the same year. In December 29, 1823, he sailed for Missolonghi to join Prince Alexandros Mavrokordatos’ forces in western Greece in a brig named ‘Hercules’ and took personal command of a brigade of Souliot soldiers who were the best in the Greek army. Before he could see any action he fell ill, could not recover from it and died. Lord Byron’s ‘The Corsair’ published in 1814 was a great hit and sold over 10,000 copies on the very first day of its publication. 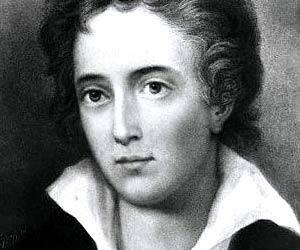 Another of his greatest works was ‘Childe Harold’s Pilgrimage’ which he began to write in 1812 and completed in 1818. His greatest poem was ‘Don Juan’, which was started in 1818 and the first two cantos published in 1819. He could complete only 16 cantos of the poem; he had started the 17th one, but was taken ill and died before he could complete it. In 1803, Lord Byron fell in love with Mary Chaworth but she rejected him as she was already engaged. While at Cambridge, he became involved in various vices which were common among undergraduates and piled up a huge debt. He also got into an affair with a young chorister named, John Edleston. He had a tumultuous love-affair with Lady Caroline Lamb and wanted to elope with her but was prevented from doing so by Hobhouse. His next lover was Lady Oxford who was impressed by Byron’s radicalism and even encouraged it. In 1813, he got romantically involved with his half-sister from his father’s first marriage, Augusta Leigh, who he had met in Newstead in 1803. She was already married to Colonel George Leigh. To get away from this situation, he carried out a flirtation with Lady Frances Webster for some time. Frustrated and depressed, he married Anne Isabella Milbanke in January 1815, but the marriage was unhappy. They were legally separated in January 1816. He had a daughter with her named Augusta Ada who was born in December 1815. After leaving England in 1816 and settling in Geneva, Switzerland, he renewed his love-affair with Claire Clairmont, which he had started while he was still in England. In 1817, Claire Clairmont moved to England to give birth to Byron’s illegitimate daughter Allegra in January 1817. In October 1817, while in Venice, he carried on a love-affair with his landlord’s wife, Marianna Segati. While in Rome, a baker’s wife named Margarita Cogni became his new lover. In Ravenna in 1818, he met Countess Teresa Gamba Guiccioli who was 19 years old and married to a man who was three times older than her. Though Byron had become fat and had long gray hair at that time, he convinced her to come back with him to Venice which she did. 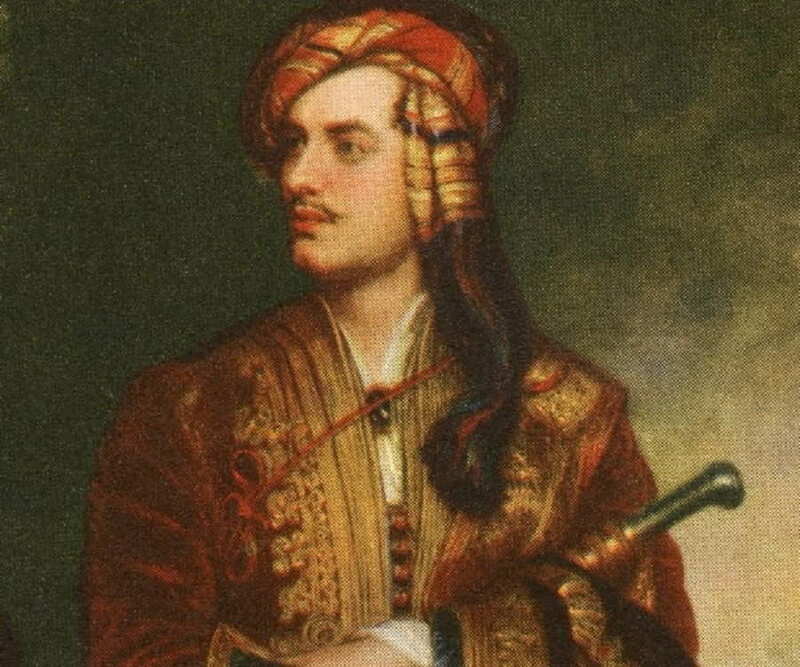 Lord Byron died in Greece from an illness on April 19, 1824. His body was returned to England but the deans at both St. Paul’s And Westminster refused to accept it. His body was finally buried in Hucknall, Torkard, which is located in Nottinghamshire near Newstead Abbey. His compositions influenced many writers in future. Lord Byron loved animals and kept monkeys, guinea hens, peacocks, geese, a crow, a falcon, an eagle, a fox, a badger, a goat and a heron in his house. Lord Byron was made a ‘Fellow of the Royal Society’ posthumously.